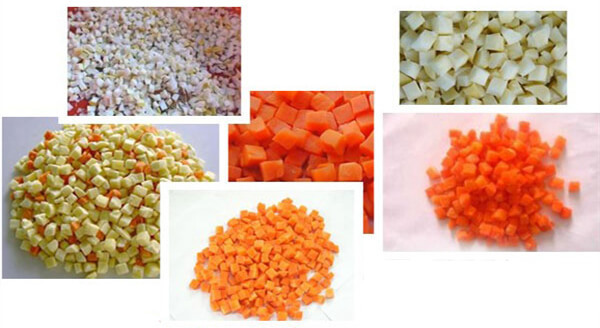 The vegetable dicing machine is specialized in cutting vegetable and fruit into dices and strips. 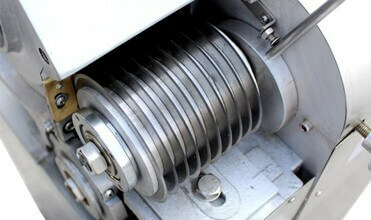 The dicing machine has a variety of multi-sized slicing and dicing plates changed for different functions. The diced size ranges within 4/ 5/ 6/ 8/ 10/ 12/ 15mm. 1. Slicing knife used for slicing. 2. 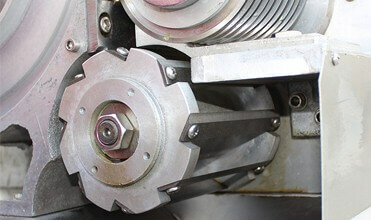 Crosscut knife used for cutting vegetables and fruits into strips. 3. Circular knives are used for dicing. 1. Vegetable dicing machine is widely used in canning food industry, frozen food industry, dry fruit industry, kitchen, and restaurant, etc. 2. 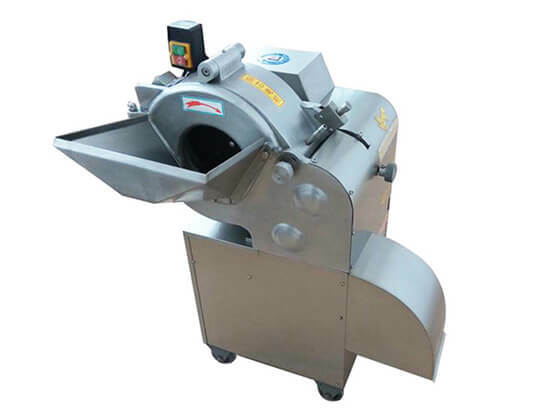 This vegetable dicing machine is used to cut vegetable and fruit into dice or strip and the vegetable and fruit can be the turnip, carrot, potato, sweet potato; apple, pear mango, and pineapple etc. 1. 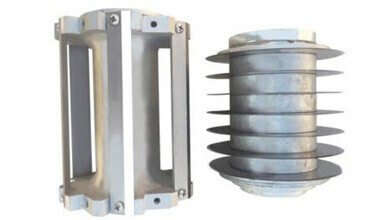 Vegetable dicing frame is made of stainless steel of corrosion resistance. 2. Fast dicing speed equals 25 people labor work. 3. There's a jiggle switch at the material feeding entrance to assure safety. 4. Simple design and reasonable structure. 5. Uniform dices and slices. 6. 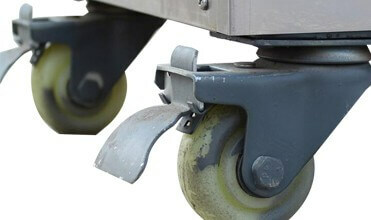 Easy to operate, maintain and clean. 1. Before operating, please read the direction of use carefully. 2. Don’t clean the main engine with water directly to avoid electricity leak. 4. Keep the machine in a dry place with good ventilation to ensure the machine has good performance without being affected by damp.